It was “a fair day + pritty warm”*, so folks who had stayed inside yesterday because of the rain were able to be out and about today. Evelina must have felt better, too, as she helped her nephew’s wife, Hannah Lothrop Gilmore, set up housekeeping in their new quarters in the village. Practiced mothers, they probably kept their eyes on Hannah’s small sons as they worked. Helen Angier Ames, fourteen-year-old daughter of Sarah Lothrop and Oliver Ames Jr., left for Boston this morning. She was going to a new school, the third one this year. Clearly she, or her parents, had had difficulty settling on the right situation. Perhaps this one would be the charm. We don’t know which academy or seminary she was headed to; there were probably several schools to chose from. 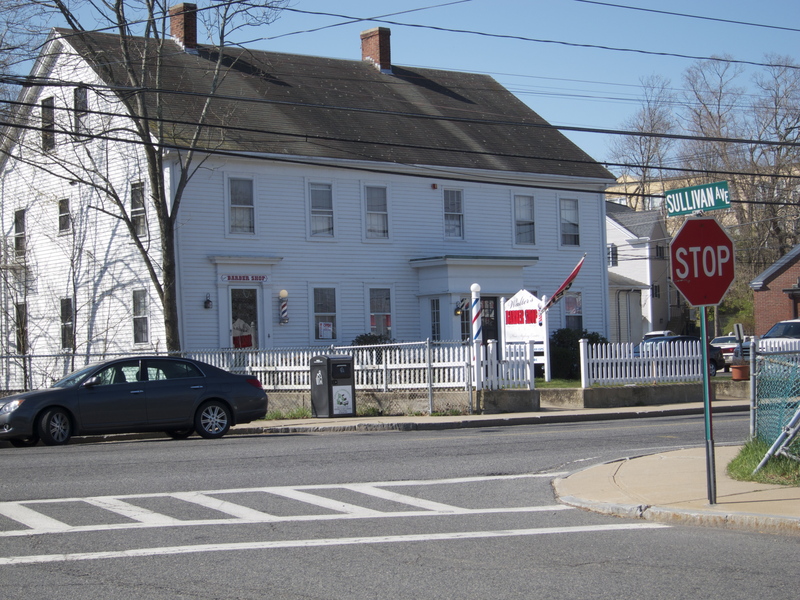 The Auburndale Female Seminary was one that was established about this time (today is exists as Lasell College) though we have no indication that this was the one, among many, that the Oliver Ameses would have settled on for their daughter. The Girls High and Normal School started up around the mid-19th century as well. It was focused on training young women to become teachers, and thus was unlikely to be the institution that Helen Ames went to. Helen didn’t need to be trained to make a living. A smaller, private outfit was likely to have been the place for her. Rain arrived but the day, according to Old Oliver, was “pritty warm.” The wet weather and her cold must have kept Evelina indoors. She may not have felt well, but as long as she could sit up, she would have found something useful to do. Sewing some underwear for herself was the mundane chore waiting in her workbasket. Meanwhile, Jane McHanna, the family servant, washed the weekly laundry, perhaps doing her trick of letting the rain do the rinsing. She would have been challenged to figure out how to dry it, though. Visitors arrived in the other part of the house; the Orrs, a family with whom the Ameses had been connected since early days in Bridgewater, came to visit. Susan Orr, a spinster, had known Oakes Ames when he was a baby. Today she and Hector – her brother, perhaps? – came to see Old Oliver and Sarah Ames Witherell. On Evelina’s side of the family, nephew Alson “Augustus” Gilmore, his wife Hannah and their two sons, toddler Eddie and infant Willie, began to move into temporary quarters at Col. John Torrey’s building in the village. Eventually, they would build a home, but for now they were going to rent. The excitement and strain of the last week or so – the return from Boston, the plunge into redecorating and her daughter’s sudden and demanding illness – may have taken their toll. Evelina came down with a cold and was too ill to go to meeting. That she was too sick to “read much” indicates just how crummy she must have felt. She generally enjoyed reading on Sundays after church. The only activity that seemed to interest her today was looking at her “accounts book,” but that didn’t cheer her up much. 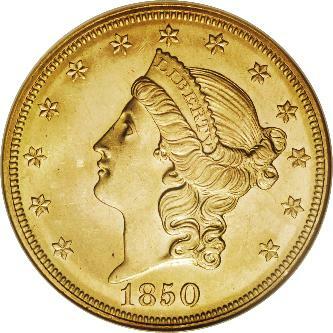 Perhaps she suddenly reckoned with the money she and Oakes had recently spent. Little Susie Ames, who had been so sick with nettle rash, was definitely on the mend. She may not have gone to church either, but she was deep into reading The Wide, Wide World, a popular, famously sentimental novel by Susan Warner (published under the pen name of Elizabeth Wetherell.) This pious classic tells the story of little Ellen Montgomery, a girl about Susan’s age who is separated from her mother and sent to live with distant relatives. She struggles among strangers – kind and mean – to accept her fate and learn to trust God. A best-seller in its day, it clearly appealed to Susan, and Evelina, too, presumably. 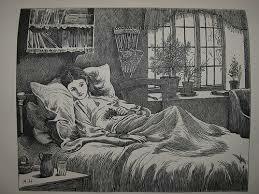 * Ellen Montgomery, the young heroine of The Wide, Wide World, is often in tears, as this period illustration from the popular novel shows. William Chaffin, Unitarian minister and town historian, once described Evelina as “very economical.”* He claimed that she mended her husband’s pants so that he wouldn’t have to spend money on new ones. Some Ames descendants and others knowledgeable about the family history also consider Evelina to be the personification of Yankee frugality. She sewed tucks into dresses, reused old pieces of carpet, made her own soap and kept careful household accounts. She mended coats, upholstered a lounge for the parlor and roped relatives and friends into helping her make shirts for all the men in her house. She did work that she could have paid others to do for her. Was she being cheap or was work a habit with her? Or both? Evelina could and did spend money, as last week’s flurry of shopping in Boston demonstrates. She bought dress fabric, chairs for the parlor and new wallpaper. And today, only one week later, she paid her sister-in-law, Harriett, $2 more for a chest of drawers than the price they had agreed upon. The gesture was generous, and underscores the possibility that Evelina was not quite the cheapskate that family tradition has allowed. As the acquisition of the used “beaureau” shows, Evelina was having a burst of redecorating. What had set this off? The shovel shop was doing well, obviously, so they could afford to buy new things. Beyond having the means, what encouraged her to make these alterations? Was she being encouraged by her husband? He seemed to be right there with her at the store. Was Oakes’s participation prompted by an easy complacency about his wife’s spending or a shared enthusiasm for the new purchases? Was an influx of wealth changing the way they lived? It had been a week ago today that Evelina, Oakes, and other Ameses had stood in Boston for hours watching a grand parade celebrating the railroad. Since that time, Evelina had returned home, rearranged furniture and nursed her daughter through an uncomfortable spell of sickness. She must have finally felt that her life was getting back to normal. Evelina did quickly see sisters-in-law Sarah Lothrop Ames and Harriett Ames Mitchell who returned from an overnight in the city. Sarah may have been scouting boarding schools for her daughter, Helen. Julia Mahoney, a young dressmaker who had recently immigrated from Ireland, worked at Evelina’s today. She immediately set about cutting sections for two dresses to be made from the French print fabric that Evelina had just bought in Boston. Evelina was pleased with Julia’s work today, which wasn’t always the case. 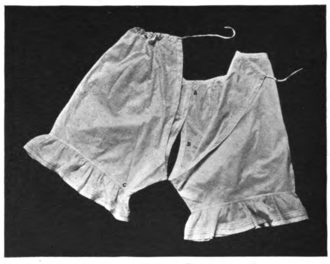 To help keep little Susie Ames occupied as she recovered from a terrible case of nettle rash, Julia cut “a frock” for Susie’s doll. The doctor – we don’t know which one in Easton had been called – visited today and confirmed Susie’s imminent recovery. The little girl was appearing “quite smart,” a phrase that Evelina occasionally used to note marked improvement in someone’s appearance, health, or wits. There was no question that fall had arrived. 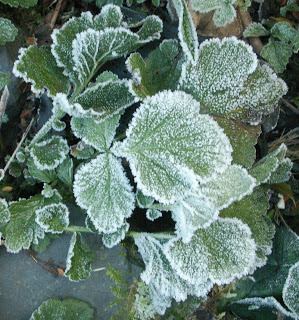 Not only had the autumnal equinox occurred, officially ushering in the season, but Old Oliver had recorded several small frosts recently, including “a large frost last night.” Daylight was shrinking slightly every day. As she quilted today, Evelina must have been turning her thoughts toward winter. 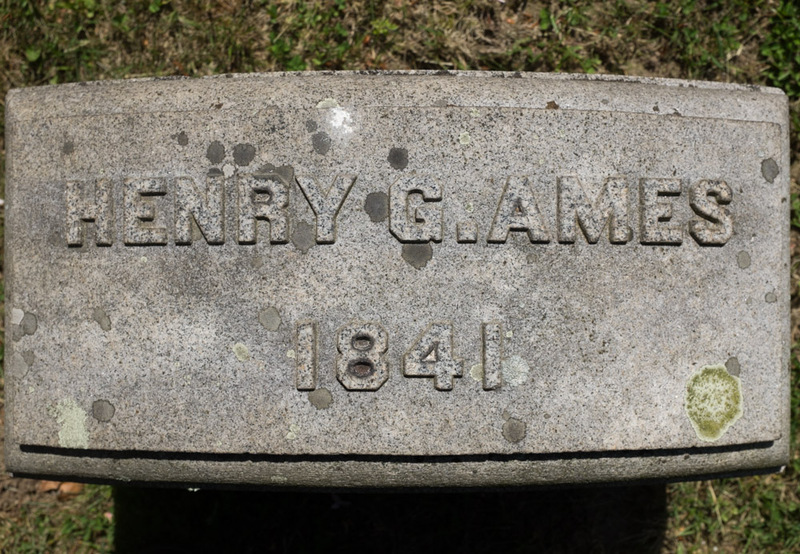 She may also have paused to remember that ten years ago on this date, her fourth son, Henry Gilmore Ames, had died at age 2 1/2. mind from her sickness in a great measure. The nettle rash, or hives, that had attacked Susie Ames began to subside this morning, surely bringing relief not only to the little girl, but to her mother and everyone else interested in her welfare. As Susie began to feel better, she became agreeably occupied with an extra doll brought in for her to play with by her older cousin from next door, Helen Angier Ames. Helen’s mother, Sarah Lothrop Ames, and Harriett Ames Mitchell left Easton today to go into Boston and Cambridge for a night. Perhaps they visited Sarah’s sixteen-year-old son Fred Ames at Harvard, where he was a new sophomore. Fifteen-year-old Francis E. Gilmore, the youngest son of Evelina’s brother Alson Gilmore, came to the Ames’s for midday dinner. Was he visiting the construction site of his older brother, Edwin Williams Gilmore, who was building a home close to Ames compound? Francis lived down on the family farm, and was able to give a ride south to William and Eliza Whitwell, who had been visiting Sarah Witherell.